Gülsin Onay was born in Istanbul in 1954. She started her piano education when she was three years old. Her first teacher was her mother. Onay gave her first public recital on Turkish Radio Istanbul when she was only six years old. At the age of 10, she received a special government scholarship under the Law for Exceptionally Talented Children, which enabled her to study first in Ankara with Mithat Fenmen and Ahmed Adnan Saygun. Two years later, she subsequently studied under Pierre Sancan, Monique Haas, Pierre Figuet and Nadia Boulanger at the Paris Conservatoire. She graduated at the age of 16, winning the prestigious “Premier Prix du Piano”. Onay continued her studies with Bernhard Ebert in Hannover Musikhochschule. 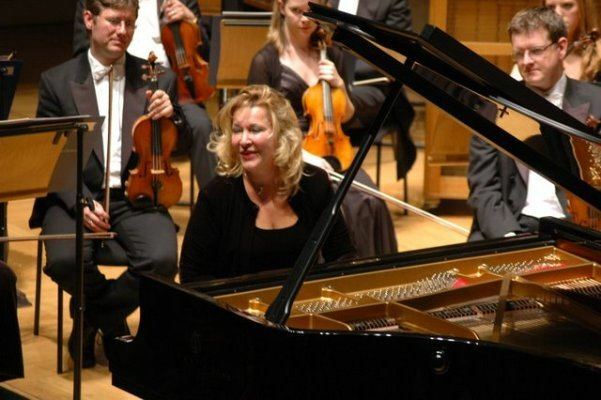 Onay took prizes in leading competitions such as the Marguerite Long-Jacques Thibaud Piano competition (Paris) and the Ferruccio Busoni International Piano Competition (Bolzano). Since then she has played in the musical centres of over 55 countries in a career spanning all continents. Onay has given concerts in the major musical centres of the world such as Amsterdam′s Concertgebouw, the Berlin Philharmonic Hall, the Vienna Konzerthaus, London′s Queen Elizabeth Hall and Wigmore Hall, the Salle Gaveau in Paris, the Washington DC National Gallery of Art and the New York Miller Theater. She has performed as a guest soloist with such leading orchestras as Dresden Staatskapelle, English Chamber Orchestra, Japan Philharmonic, Munich Radio Symphony, Royal Philharmonic, St. Petersburg Philharmonic, Tokyo Symphony, Warsaw Philharmonic and Vienna Symphony Orchestra. Conductors with which she has performed include: Vladimir Ashkenazy, Erich Bergel, Michael Boder, Andrey Boreyko, Jorg Faerber, Emmanuel Krivine, Ingo Metzmacher, Vassily Sinaisky, Stanislaw Wislocki and Lothar Zagrosek. Ms. Onay′s many festival appearances include Berlin, Warsaw, Granada, Mozartfest Würzburg, Newport, Miami, Schleswig-Holstein and Istanbul. 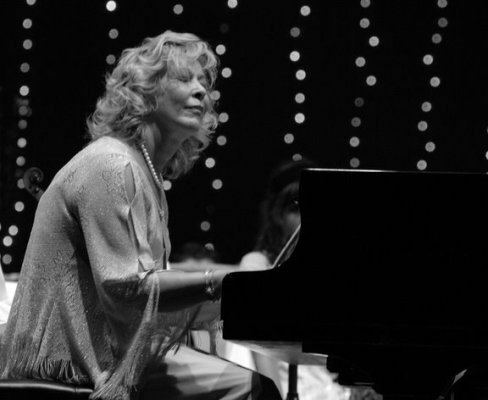 Since its inception in 2004, Gülsin Onay has been the artistic advisor of the Gümüşlük Classical Music Festival. 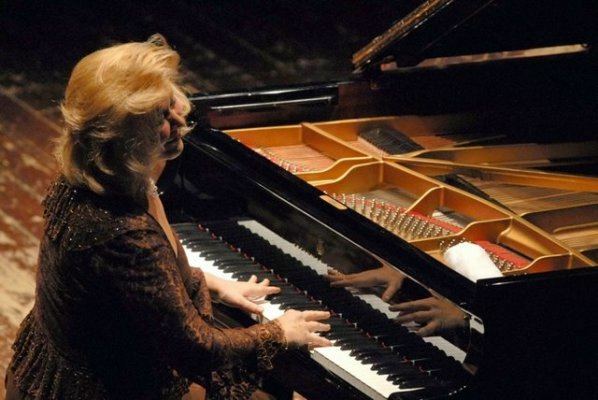 Onay is acknowledged worldwide as the finest interpreter of the music of A.Adnan Saygun, whose works feature prominently in her concerts and recordings, and whose second Piano Concerto (which she has premiered in Turkey and abroad) was dedicated to her. Other contemporary composers who have dedicated works to Gülsin Onay are Hubert Stuppner, Denis Dufour, Jean-Louis Petit, Muhiddin Dürrüoğlu-Demiriz and Marc-André Hamelin. Onay has also given world premieres of concertos by Stuppner and Tabakov. Onay has recorded 20 albums that illustrate the breadth of her repertoire as well as her interpretive power. 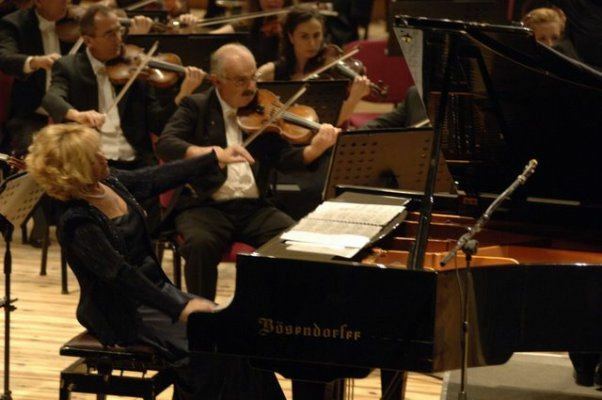 Her 2007 CD featuring live concert recordings of Tchaikovsky’s first and Rachmaninov’s third Piano Concerto, has been acclaimed by critics and virtuosi alike. Most recently in 2008, CPO released her recording of both Saygun concertos. Many of Onay’s concerts have been broadcast on European radio and television, and in the USA on National Public Radio. Onay takes a special interest in the promotion of charitable causes, giving charity concerts around the world under the auspices of UNICEF, whose Turkish National Committee appointed her “Goodwill Ambassador” in 2003. As a state artist, Onay is an official soloist of the Presidential Symphony Orchestra in Ankara. She is “Artist in Residence” at Bilkent University in Ankara and holds an honorary doctorate degree from Bosphorus University in Istanbul, and from Hacettepe University in Ankara. 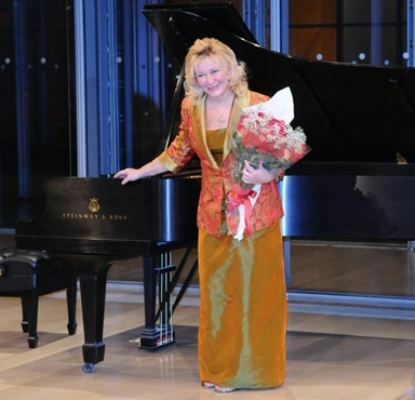 In 2007 Onay was honored with the award of an Order of Merit of the Polish nation by the Polish President Lech Kaczynski for her contributions to Polish culture through her outstanding performances of the music of Chopin. 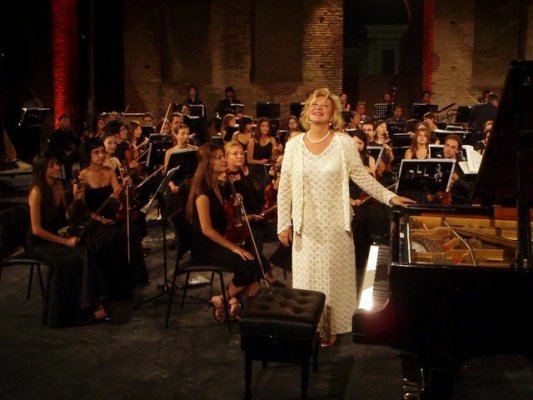 The “Sevda-Cenap And” Music Foundation awarded its prestigious 2007 Honorary Award Gold Medal to Gülsin Onay. In 2014 she received an honor award in the 42th International Istanbul Music Festival.